It’s been such a long time since my last post. Busy season but no excuse. I wanted to wish you all a Happy Valentines Day. This is a piece I am working on. I drew the face using a beautiful new Zig Art and Graphic Twin I got through Art Snacks in the January box. I love this and want more of them! 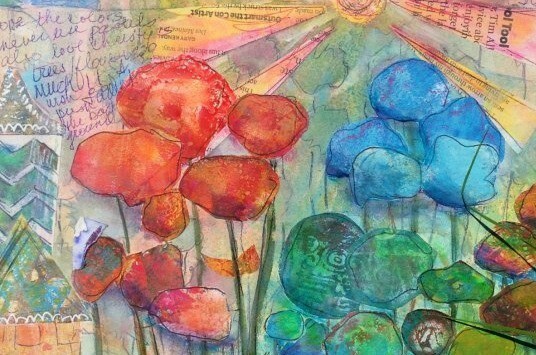 I used some muted Liquitex inks and SG stencils by Carolyn Dube A Colorful Journey. Love her new stencils over at Stencil Girl. I also did some metal embossing using plumbers tape (aluminum). It is so fun. I am hoping I am back on track now. See you soon.